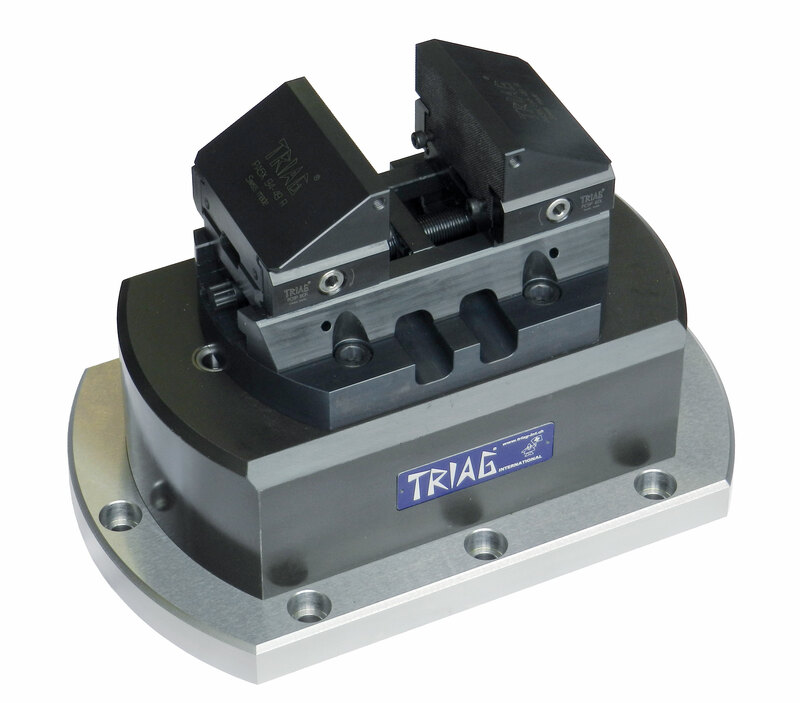 Triag International AG offers a wide range of self centring vice. 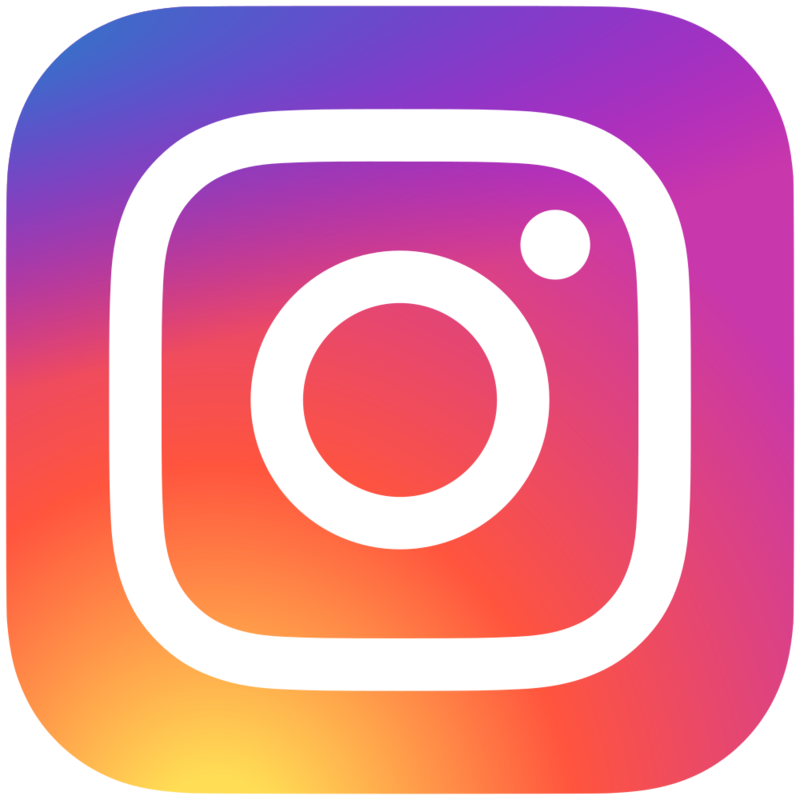 In addition to the self centring vice that fit onto the rail systems powerCLAMP and aptoCLAMP or the zero point system OPPsystem, mechanical self centring vice are also available. In order to meet various requirements and machining tasks, the self centring vises can be rotated 90 degrees. Just like all modules of this series, the self centring vice can easily be positioned along the rail in 2-millimetre increments. The compact and closed construction protects the self centring vice from contamination. Different false jaws and stamping jaws are available for all self centring vice. The modular self centric vice adapts perfectly to the requirements of machine and workpiece. False jaws can be used with the “Type B” model as well as with mechanical self centring vice. Stop modules of the powerCLAMP system can be used with “Type M”. This also allows stamping clamping with the universal stamping jaw. 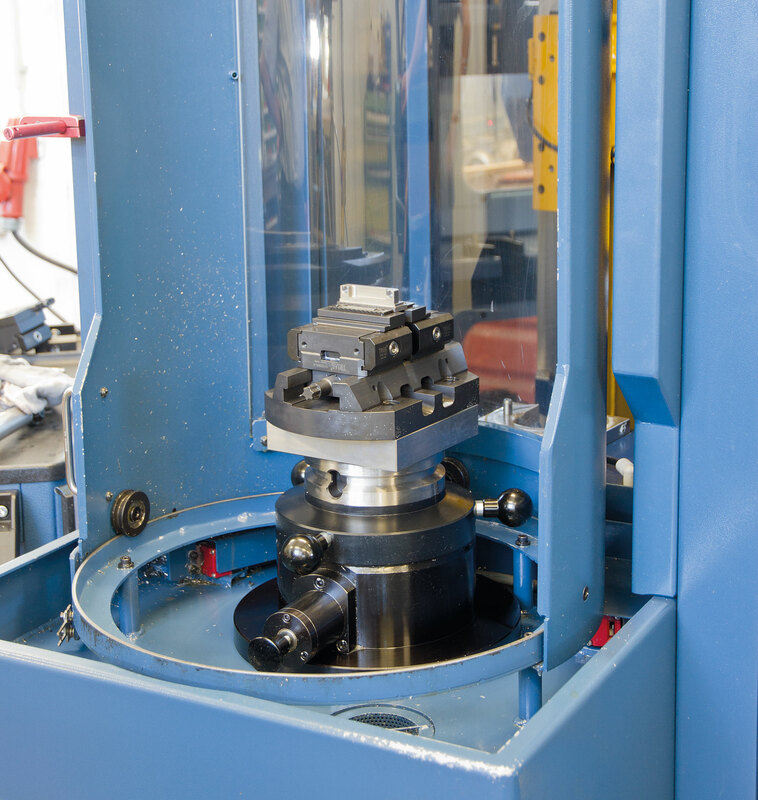 The pneumatic self centring vice allows for the automated clamping and releasing of workpieces – for example with a robot. The clamping system only needs a brief air pulse of 5 to 6 bar for opening and closing. 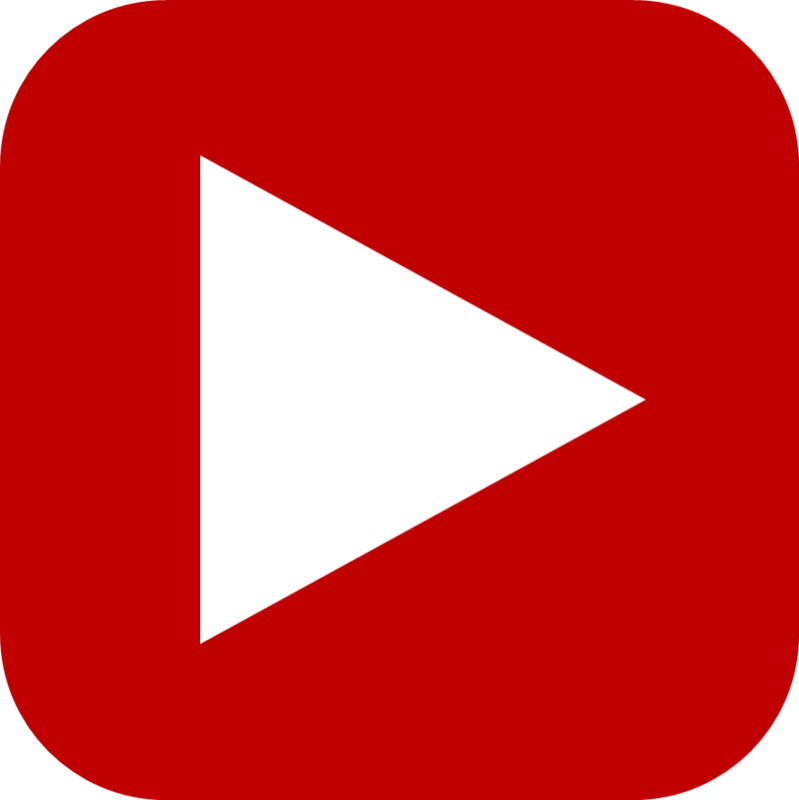 The air connection can then be removed. 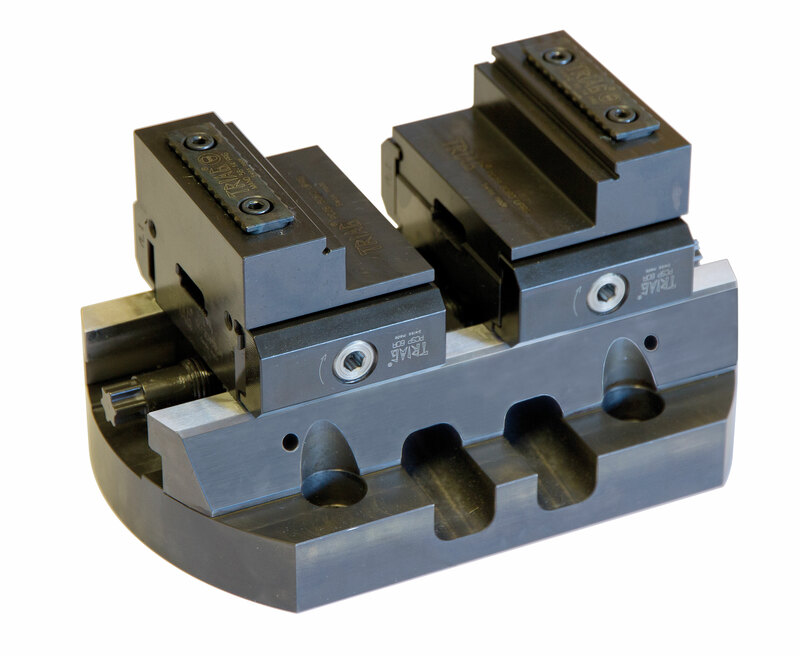 A sophisticated mechanism provides steady and reliable clamping with a clamping force of between 1400 and 1600 daN. The maximum distance between clamping jaws is 210 mm and the clamping stroke is 4 mm. These types of self centring vice are used primarily in machining centres that are loaded and unloaded with linear and buckling-arm robots, and that produce unattended during the night shift. Pneumatic operation significantly reduces the times needed to open and close the self centring vices even when setting up manually. That means that production plants run much more efficiently and are more productive while the cost per unit goes down. 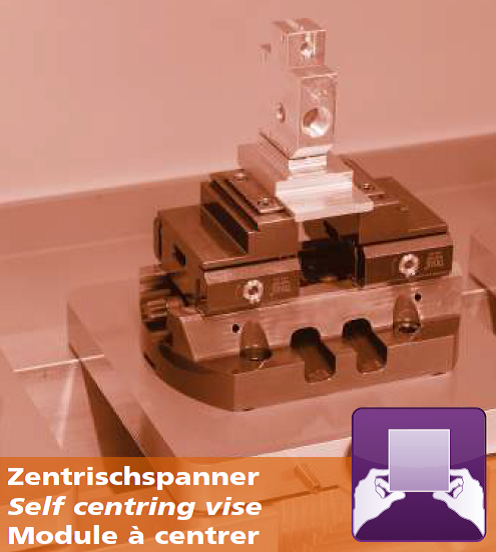 The self centring vice are also suited for use with the oppSYSTEM zero point clamping system. The workpieces remain clamped reliably in the working area of the machining centre and when changing the equipped clamping plates. There is no need for air connections via cables that get in the way. It also allows setting up the workpieces that are to be machined on multiple clamping plates with the zero point clamping system outside of the machining centres. The pneumatic system required for operating the self centring vices only has to be connected for a short time in order to clamp and release the workpieces.